It’s been a week of rain here in Kentucky, but the Christmas music playing on my radio and the ever-present holiday decorations have put me in the mood for snow and for sleighs! 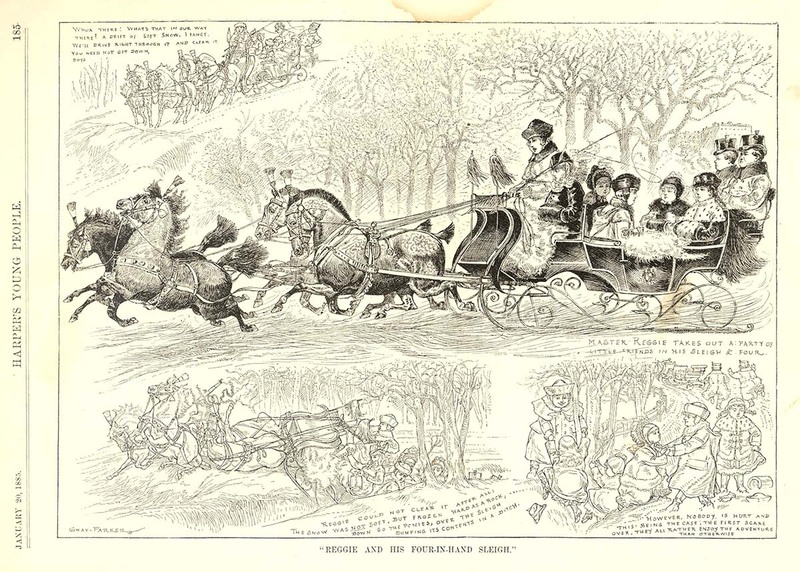 Today on the blog I thought I’d share with you a few of my favorite sleighing sketches, taken from the archives of the Carriage Museum of America. Both illustrations feature Master Reggie, a repeat character with a tendency for getting into trouble. He and his friends certainly have some adventures! 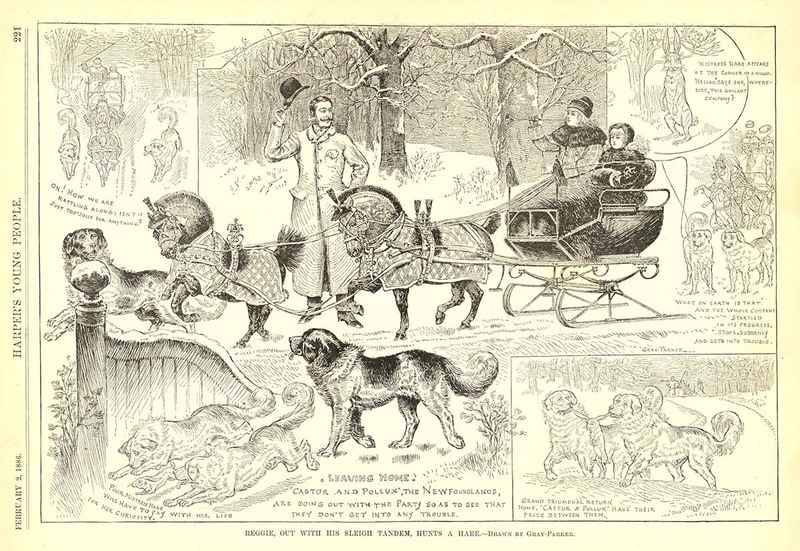 These illustrations were featured in the periodical Harper’s Young People, which began in November 1879 as a weekly illustrated magazine for boys and girls ages six to sixteen. It featured fiction and non-fiction stories, with a variety of illustration styles and subjects. The magazine continued, although with a different format and name, until 1899. If the drawings look familiar to you, there are a few possible reasons. For one, I believe they were featured in The Carriage Journal a few years ago, so you may be remembering them from that. Or you may just recognize the style, as these were drawn by the famous carriage illustrator Gray-Parker, whose work has been featured many times here on the blog, in The Carriage Journal, on the covers of trade journals, and in countless other carriages resources. His work is incredibly prolific and popular, for good reason. Want to see more from the CMA? Follow us on Facebook! I feature images and other items from our collection a few times each week. I’m sure there will be no shortage of sleighs this winter!